These yoga tips will really enhance your yoga practice. These tips are physical in nature and will concentrate on aligning and positioning your body properly. This article is a continuation of the article I call "Beginners Yoga" that focuses on the general, overall philosophy of yoga. Please scroll to the bottom for a complete list of articles with lots of yoga tips for all, not just for beginners. These yoga basics, I am finding out are not so basic. Few people know them, so if you learn them, your yoga poses will shine! The yoga tips that I list seem to me to be somewhat common sense, however, as I teach beginners yoga, I realize that not everyone has the physical intuitive skills that I have acquired over the years. Some of the yoga tips I list below were given to me by my yoga teacher, Marianne Wells, and some I have known for years. I don’t remember where I learned them all, but I am a voracious reader and student of yoga now for many years. 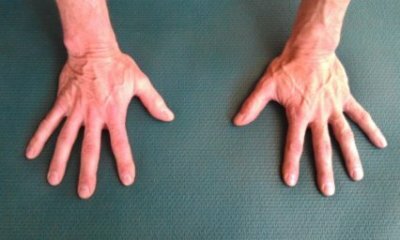 I wished I had been told the foot and hand positioning much earlier in my yoga days, as it would have assisted me greatly. I never heard of some of the yoga tips that I learned until I went to yoga teacher training. Learn to check your tendency to over-think everything at the door. Use your intuition to feel the movements, feel the breath and feel the energy flowing. Trust yourself, trust your body and learn to sense it at all times to deepen your yoga practice. B-r-e-a-t-h-e. Never forget to breathe! It is amazing how our tendency, when we are doing something difficult is to hold our breath. I see this over and over again in beginners yoga. This is the single most important of the yoga tips! Inhale when opening the body. Learning to synchronize your breath with the yoga movements is of paramount importance to attain the most therapeutic effects of yoga. As a general rule, when the body opens and extends, you need to inhale. Exhale when folding the body. Whenever the body is folded together, you need to exhale and release. After doing yoga for a while, you will begin to feel that this is the most natural way to breathe during yoga. It seems intuitive, but a lot of folks don’t get this, because they are thinking too hard about getting into the pose itself! Relax, breathe and flow at all times. Never force the yoga stretch by overstretching. Never pull when you do forward folds, or push too hard in downward dog, or strain in any way. Pushing or pulling too hard is ego-based and should be abandoned. Go only as far as you are able, without pushing or pulling. Never bounce into a yoga stretch. Instead move in one continuous, slow and sinking movement whenever deepening a yoga stretch. Yoga poses are about finding the relaxation within the action of the pose, never bouncing or forcing your body to reach a certain point. This yoga tip will keep you from getting injured or sore. Proper hand position in Yoga poses With all yoga poses that have your hands on the ground, keep your fingers open wide, with the 3rd, middle finger pointing straight ahead like I show in the picture to the right. This will really help you root down with your hands, increasing your balance and steadiness in the pose. This yoga tip is extremely helpful! Keep a micro-bend in your elbows. When doing a position where your arms are straight, never lock out your elbow. Less strain is placed on your elbows this way. A lot of folks hyperextend their elbows which I believe will cause a lot of joint instability over the years. You can avoid this and prevent an injury to the fragile ligaments and tendons in the elbow, by keeping them at least slightly bent at all times. Keep your elbows close to your body. When doing yoga poses that put weight on the arms in a bent position, keep your elbows in to minimize stress on your shoulders. Never lock your knees. Always keep a micro-bend in the knee so you don’t strain them. When you are standing firm in your poses, as I teach you below, don’t lock out your knees. This is true especially if you have a tendency to hyperextend your knees. Locking them out will cause joint instability by overstretching the fragile ligaments in your knees. Keeping a slight bend in your knees, by engaging your thighs, therefore lifting your kneecaps will keep you from injuring your knees. When doing yoga poses in a standing, bent leg position, try to keep your knee over your ankle and foot. (the exception would be the poses in the chair positions where the hips are centered over the feet). This yoga tip will keep you very balanced and strong. Use proper grounding of your feet. The yoga foot tripod for grounding through the feet. For all poses that require standing on your feet, to really root down through your feet, think of your foot as a tripod. The tripod consists of the point at the base of your big toe, the base of your little toe and the center of your heel like I show in the picture to the left. To check to see if your feet are grounded in a pose through the three points of the foot, when you are standing on both feet (like in Tadasana or Mountain Pose), lift your toes up. If you are grounded, you will feel your arches of your feet lift as the tripod points of your feet are engaged, and you will feel very solid in the pose. Regardless of the standing pose, you can check your grounding by lifting your toes. We have the tendency to grip with the toes, instead of firmly rooting through the tripod of the feet. Try this when you are doing your Warrior Poses or the Triangle Pose. If you can lift your toes without wobbling or falling over, you are firmly rooted in your feet! See the foot pictures, below. I had never before heard the foot rooting explained like this to me before and it is indeed a great yoga tip! Always keep a neutral spine. Learn about the neutral spine. A neutral, natural spine maintains a concave curve in the neck (cervical spine), a convex curve of the upper back (thoracic spine) and a concave curve in the lower back (lumbar spine). Keeping your spine in this neutral position is a yoga tip that will keep your spine healthy in ALL the things you do in life. Always think about adjusting your balance. Move slightly with your body, one way or another, up or down, side to side to find your center. Sometimes, like in triangle pose, if I rotate my hips just a bit forward and down, I feel much more ease in the pose. Don’t be afraid to experiment with slight movements to see where it feels best for you. Do this, while still keeping your spine in alignment. Pull your belly button into your spine. If you pull in your belly during a pose, this helps lift your upper chest and torso and keep your spine in neutral. By engaging your abdomen, you will also support your lower back to prevent injuries. Lead with your chest, not your chin. I have a tendency to reach forward with my chin, when I am attempting to deepen a pose. If you focus instead on opening your chest with all movements you will lead with your chest instead. Do this for all movements that don’t require a rounding of the back. This yoga tip will make you appear long and straight and tall. Keeping your chest up and out also keeps your spine in neutral. You do not want a humpback! (See Understanding Your Body, What your Posture Says About You!). Keep an elongated neck. A neutral spine includes the neck and head position. If you think about keeping the back of your neck long, your chin will automatically stay closer to neutral. However, don’t put your chin on your chest. Close your eyes. If you desire to improve your balance and your sense of your body in space, close your eyes. Do this gingerly at first so you don’t fall over! Closing your eyes will also help keep your yoga meditative. If holding a pose for a long time, closing your eyes will assist you in going inward. The last of the yoga tips is to B-R-E-A-T-H-E! Whether or not you get the inhale and the exhale just right, breathe anyway! Tell your body to relax and breathe and move. You will get it eventually. Stop thinking and start feeling and sensing your breath. Focus on your life-giving energy through your breath and breathe! 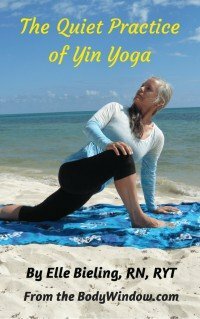 I hope these yoga tips will help you learn the yoga basics more quickly so you can journey towards healing. Your body-mind-soul will love you for your efforts. May you embark on your ongoing journey to body awareness through learning these yoga tips! May you create health and healing in your life!